Hi! The True Fit Guarantee is a one time fee of $5.99, and we send a prepaid return shipping label with the shoes, so you will not have to pay for shipping and it also covers our $5 reship fee that we have for shoe exchanges. The True Fit Guarantee is only for the same shoe but a different size. Do these tend to run narrow? The width that Dexter has this shoe listed as is B width which should fit like a normal width shoe. What do the bottom of these shoes look like? Hello. Unfortunately there are no pictures of the bottoms of the shoes available. The soles are universal and they are the microfiber slide sole. What does the slip-on or lace construction mean? 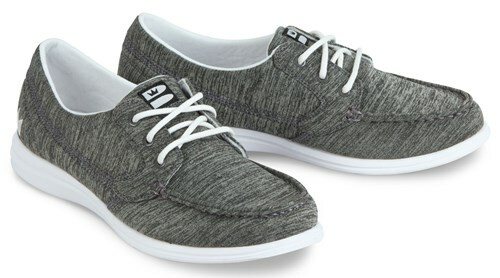 Can these be tied like regular shoes? Hello Carrie. These shoes are slip on shoes. They do not have the feature of tying them like laces. Hi Janet! According to customer reviews, this shoe will be true to size. If you are not 100% sure on the size to purchase, you can add the True Fit Guarantee with the shoes. What is a shoe dog? And what is platinum protection? Shoe dogs will keep your shoes smelling nice and clean. If during the first year of normal use, your new shoes are damaged due to a manufacturing defect in workmanship or materials, bowling.com will replace your shoes free of charge! With the Platinum Protection Plan, there is no need to wait for a lengthy manufacturer warranty claim. We will replace your shoes immediately. The shoes must be purchased from bowling.com, claims must be made within 1 year of order date and the insurance must be purchases at time of order. The shoes must be returned for inspection and there will be an immediate replacement. The Platinum Protecion is non-refundable once the item has been received by the customer. Hi. Unfortunately, the Karmas do not come in a wide size. These will be a standard B width. Unfortunately, these shoes do not come in wide width. Can shoes be returned for a full refund? Due to the time it takes to produce the Brunswick Womens Karma ball it will ship in immediately. We cannot ship this ball outside the United States.